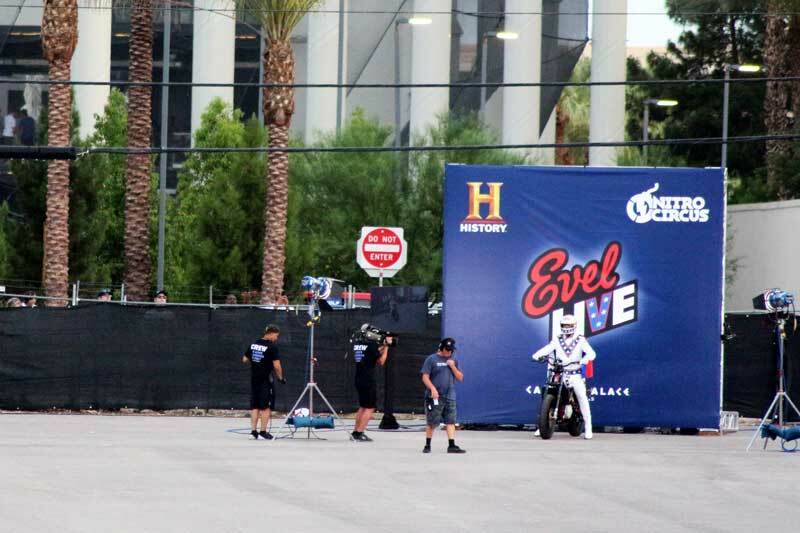 Travis Pastrana lands 3 iconic Evel Knievel stunts in tribute show in Las Vegas. Travis made it look easy, 52 cars, 16 buses and the famous fountain at Caesars Palace. The Vegas 106+ heat, high winds and possible rain kept fans wondering if the show would happen. The first two jumps were held behind Planet Hollywood. 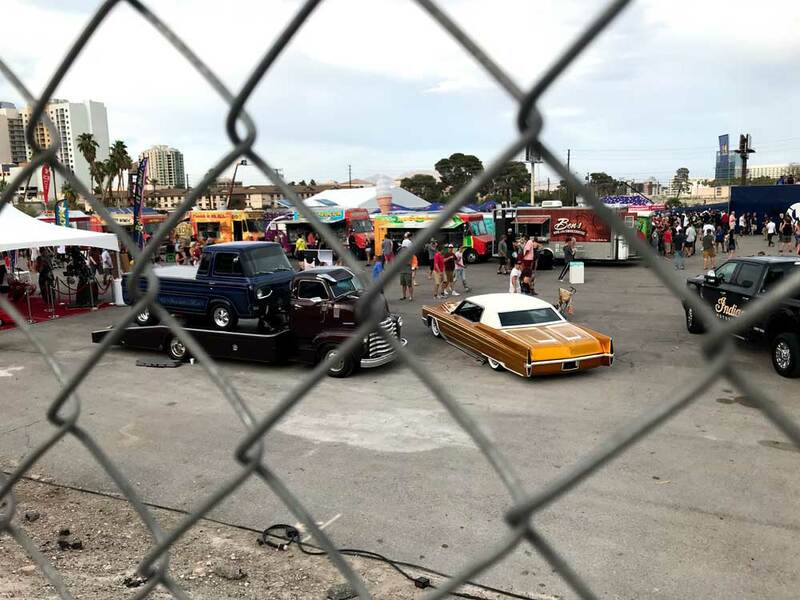 We ran into a few old friends, the crew from Counts Kustoms were on hand with a few custom cars and motorcycles. We viewed the show from the VIP section and had the pleasure of sitting with legend Spanky Spangler, an American daredevil and theatrical stunt man. Spanky currently holds 23 World records. We also met Daredevil Doug.Hundreds of fans came to witness the jumps in person. To make it more interesting, Pastrana made the jumps on a 340 lbs Indian Scout FTR750—an American motorcycle with a V-Twin engine that’s a modern-day evolution of the big, stiff Harley flat-track bike Knievel rode. Pastrana said, it’s more than 100 pounds heavier than the bikes he normally uses with far more power and far less suspension. After the the first 2 jumps the crowds made their way to Caesars and Travis rode his bike down the Las Vegas Strip with police escorts.